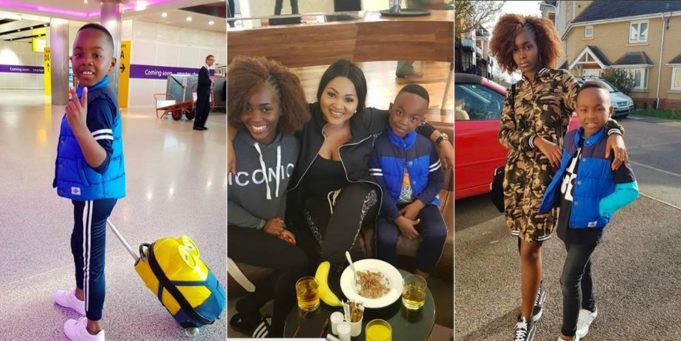 Mercy Aigbe is having a good time with her family in London as she has taken to social media to show off photos. The mother of 2 couldn't contain her joy as she shared the pictures with her fans. My no 1 Repper @michelleio__ , slaying in this camo dress from @mag_divas momma's boutique ❤❤." To Receive NAIJASHOWBIZ Alerts On WhatsApp, Add 0802 739 7554; For Adverts Enquiries, Whatsapp 0802 739 7554, Send Articles & News Stories To editor@skytrendnews.com.